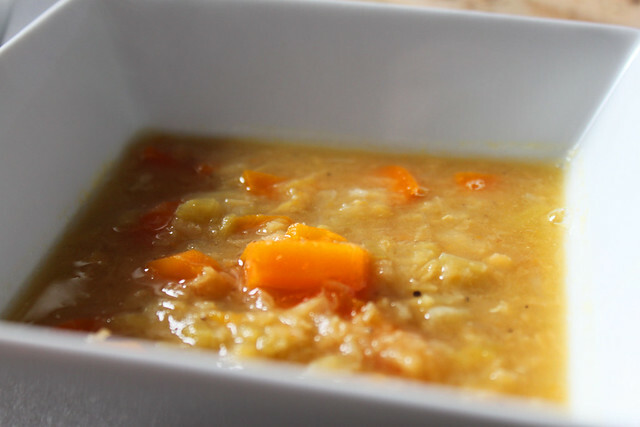 You might think that lentils probably doesn’t follow, since they generally make for heavy soups, however here there are just enough to thicken the soup. 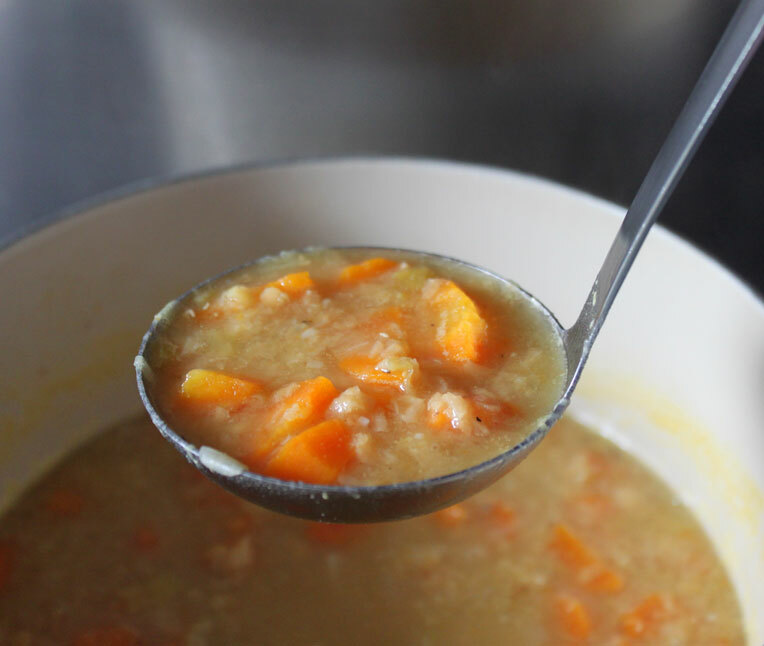 You might also think that carrots and lentils don’t make for the most summery of soups but the squeeze of the lemon just before you serve it gives a quick hit of summery citrus. 1/2 tablespoon of oil, I used rapeseed oil. 3 small cloves of garlic. 3 large carrots, chopped into large chunks. 1 leek, sliced into rings and then halved. 1/2 cup of red lentils. 1 litre of hot stock, I used chicken. 1/3 of a lemon juiced. Pour the oil, and add the garlic, carrots and leeks to a medium sized pan with a lid. Under a low heat leave the vegetables for around 5 minutes to start to soften, cover with the lid. Then add a couple of tablespoons of hot stock, stir and leave for another 5 minutes covered. Add the lentils and remaining hot stock. Season to taste, and turn the heat down to the lowest level so that it simmers continuously. Leave for 1 and 1/2 hours. Just before serving add the lemon juice. Served with fresh bread this soup was delicious and so easy to make. While the soup simmered I went to the farmer’s market – how’s that for a productive morning!